Free Tax Preparation – United Way of Central Alabama, Inc. The 2018 Tax Season Has Started! Call 2-1-1 or 1-888-421-1266 today to set an appointment. United Way works closely with the Internal Revenue Service and other qualified partners to provide free income tax preparation to individuals earning $54,000 or less per year. Tax returns are prepared by IRS-certified preparers and are filed online through secure IRS systems. Convenient Drop-Off Service -United Way’s Tax Drop-Off Service offers a convenient way for working individuals and families to get their taxes done around their work schedules. Call for information. In most cases, tax returns are ready in just seven days. File Online – United Way also offers free tax preparation online at MyFreeTaxes.Com. This service is free for individuals earning $66,000 or less per year. Free phone help is also available. Seeking Volunteers – We are continuously in need of volunteers to prepare tax returns year round, and to serve as intake greeters during tax season. If you would like to learn about flexible volunteer opportunities and receive free IRS-certified training, please click here or email taxvol@uwca.org. United Way offers two ways to file for free! If you earn $54,000 or less per year – you qualify for free tax assistance at United Way. Call 2-1-1 (1-888-421-1266) or click here to make your appointment. If you earn $66,000 or less per year – you qualify for free online filing at MyFreeTaxes.com! You can use MyFreeTaxes.com, our free online tax preparation option. If your individual or combined household income is $66,000 or less, you can file your federal and state taxes for free! This free and secure, do-it-yourself option utilizes H&R Block software and is made possible through United Way Worldwide. If you have questions while filing your taxes, free telephone assistance is available Monday through Saturday until 9 p.m. by calling 1-855-MY-TX-HELP. Unsure about eligibility? Email us at taxhelp@uwca.org. 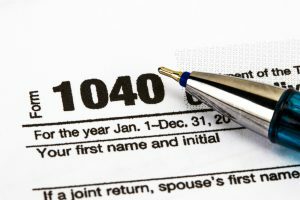 When Does United Way Provide Free Tax Assistance? We are now taking appointments. Call 2-1-1 or 1-888-421-1266 or click here to make your appointment. Brief appointments are necessary even for the drop-off service. United Way provides tax assistance year round. Our busiest season is mid-January to April 15, but tax filers can call us anytime to schedule an appointment. We assist families who may need to file multiple years of tax returns as well as those who have filed tax extensions. What Do Tax Filers Need to Bring with Them? -Driver License or non-drivers ID. Spouses filing jointly must both be present. How Do I Contact United Way for Free Tax Assistance? For additional information, call United Way’s 2-1-1 Information and Referral Line or call 1-888-421-1266. Call today for an appointment. We prepare taxes year-round. Every year, we need volunteers for United Way Free Tax Preparation. Whether you’d like to help by greeting clients, gathering information and checking their documents, or by actually preparing their tax returns, we need you and will provide all the necessary training for you to become IRS-certified. We also offer student internship opportunities for class credit. Volunteer participation is key to making this program successful, and it’s a great way to serve our community. To learn more, please click here or email taxvol@uwca.org.